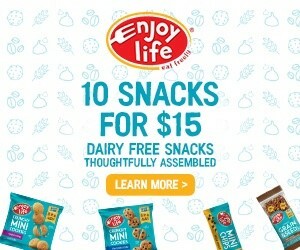 You are at:Home»Dairy-Free and Fit Blog»ONE Year, 365 Dairy-Free Recipes … What Should I Make? To be honest, I’ve never been one to create New Year’s Resolutions. But the past two years have sent me a little off track with my goals. Some loved ones needed help, and family just had to come first. The cost wasn’t just pushing back book deadlines, it also sapped some of my kitchen mojo. While I’ve loved every recipe that I’ve created, each one has been taking a lot of extra mental oomph to accomplish, and I’ve found myself with an overly repetitive menu most days of the week. 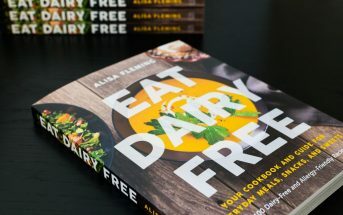 I want to not only regain my passion for recipes, but take my cooking up a notch to give you many more delicious dairy-free options and ideas. And for this spreadsheet queen, nothing works better than repetition and tracking, so I’m setting a big goal and I know I will accomplish it! I’m going to … Trial One New Recipe for Every Day of the Year. It might be a favorite blogger recipe I’ve been dying to whip up, a recipe I’ve adapted to be dairy-free, or something brand new that I’ve been dreaming of! Some will be hits, some will be misses, but if all goes well, I’ll also emerge with 365 Dairy-Free Recipes that are winners for retesting. I guess you could call that my second big goal! 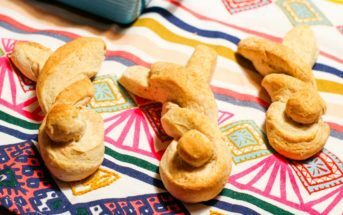 Each week, I’ll post one of my successful recipes for you along with updates on what I’ve trialed – I hope that the notes will inspire your own cooking, and perhaps you may even have some tips for the ones that didn’t work out. My first new recipe will be up on January 7th, and will continue weekly thereafter for all of 2016. Oh, and books? August 2016 is the “at last” release date for more dairy-free books! 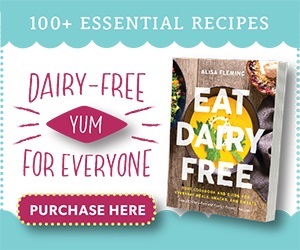 I’ve got many recipes on my bucket list, but please comment with any recipes you would like me to trial dairy-free, and if you’re a recipe blogger, feel free to share a link to a recipe of yours that you think I should trial dairy-free! 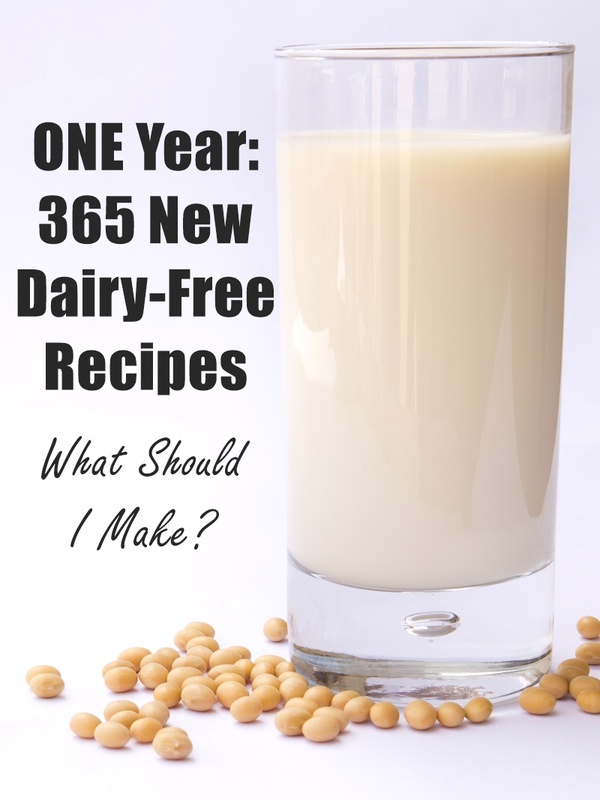 You can also follow me on social media where I’ll share my trials of the 365 dairy-free recipes as I go with the hashtag #365dairyfree on Twitter and Instagram, plus my weekly recipe posts on Facebook and Pinterest. It’s super easy and can easily be modified if you don’t have hours to wait for ice cream to freeze. I like to make a coconut cream mouse with ground peanuts – it tastes like an amazing peanut butter mousse and you can do a dark chocolate or carob one and swirl the two flavors for a frozen peanut butter cup! Thanks Ricki, I’ve been busy! Wow, I’m impressed!! 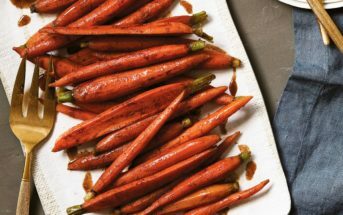 I have a hard time trying 3 new recipes a week, but 365 in a year? I think I have to up my spreadsheet game! I like all the recipes on my blog, but if I had to take one, it would be my Amazing Chickpea Spinach Salad: http://hurrythefoodup.com/chickpea-spinach-salad/ The original calls for feta cheese though. Maybe you find a way to replace it? Thanks Hauke! These look amazing – huge peanut dressing fan here, and that chickpea salad has some unique flavor combinations. Can’t wait to try them! I love this Alisa! So excited to follow along and see what you come up with. 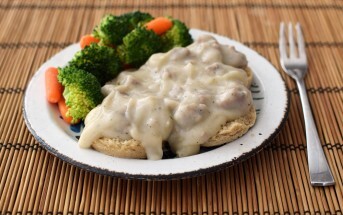 This is a favorite of ours and I love to serve it in the spring time. So unique! Thank you for sharing this Rachel. Hmm, okay, I can do that! That’s a great challenge, Alisa. Sometimes it takes something like that to help inspire creativity which I know you have a lot of. I’m looking forward to seeing all of your new recipes. Love it! And I do need to use my slow cooker more! Thank you Stephanie! That recipe sounds perfect for adding to my list. Thanks Sharon, that looks like a great recipe – adding it to my list! Hum…….sky is the limit! How about a nice crepe? Ooh, crepes, yes! I’m on it. Oh yeah. Now what’s your big challenge for the year? This sounds really exciting and it would be great to see some Moo Free Chocolate feature in your recipes. Our chocolate is dairy Free, casein free and lactose free and is given a creamy flavour from rice milk. If this sounds like something you’d be interested in then email me and we can discuss it further. Thank you Abigail! Yes, wacky cake is a familiar one but I’m always game on a new ganache (I actually prefer frosting to cake!). Woohoo!! This is a great idea (and great resolution!) I am actually proud of myself for keeping my goal last year (daily walks with the dog, no skip days.) Hmmm, personally I am a big fan of lemon curd, but I am not sure if that can ever be made dairy-free as the main ingredients are eggs and butter 🙂 Sorry for the tough challenge! Thanks Kacey! Actually lemon curd would be pretty easy dairy-free (I will make it!) since eggs aren’t dairy. It would definitely be trickier vegan though!